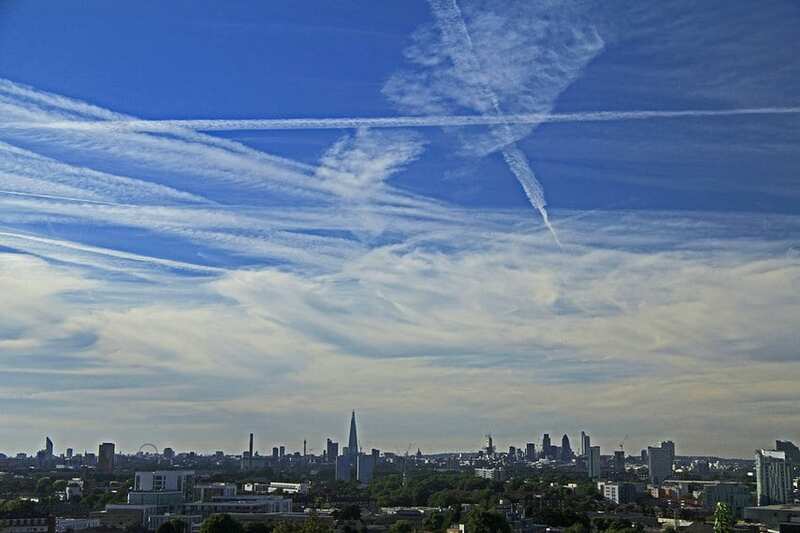 Home » Comments » Featured Articles » Chemtrails Over Sussex. Can they cause Morgellans? You know that children’s party game Hunt the Thimble? Everyone covers their eyes while a grown-up hides a thimble or some other small object. It’s been in clear view all the time, on a shelf or on top of the TV, but nobody could see it! Life’s like that. Most of us can’t see what’s in clear view. People often don’t believe what they’re told – unless someone on the telly tells them – because a lot of it is so ‘in your face’ that it can’t be true. Can it? These people are called Sheeple. Some of them will even send in flowers when someone dies in a TV Soap! ‘Oh no they wouldn’t!’ Oh yes they would! Last year I was filming a programme on the Sussex coast called The Audience. Channel 4, More 4, 10pm on Thursdays. I can’t give you any more details because the episode hasn’t been shown yet. Briefly, if you’ve never seen it, The Audience is a group of 50 people who follow someone with a dilemma for a week, then tells them the Audience’s verdict on what they should do. It was a lovely warm day. The sky was a clear blue without a cloud in sight. The 50 of us stood in a tight square group, waiting for the signal to start walking when the cameras were in position. Let me interrupt for a moment. Contrails are the trails behind a plane that has just taken off into cold air. They fade almost instantly. 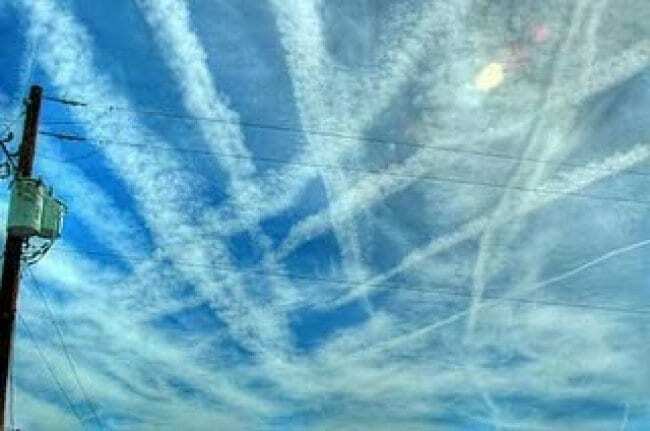 Chemtrails are deliberately blasted out of the back of a plane that is already high in the sky. They spread out and stay there for a long time, turning the sky a milky yellowy-grey. This is often followed by a strange smell in the air. We all stared upwards. A couple of the group nodded silently. For some reason, there are some subjects that people are reluctant to talk about in case they sound stupid. What a shame. They should speak up more. I spoke up though. 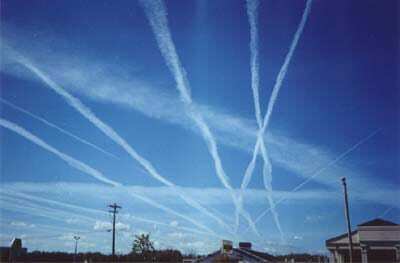 ‘If the planes form a grid pattern, they’re chemtrails,’ I told them. They clearly did as we all watched, fascinated. ‘No, they’re just planes that have taken off from Gatwick,’ said King Sheeple, who thought he was a Group Boss. There were three planes flying side by side, obviously spewing out the trails. ‘Look, they’re stopping when they reach the sea!’ someone called out. ‘Why would they do that?’ asked someone else. ‘Why are they doing it? asked someone else. Why indeed? 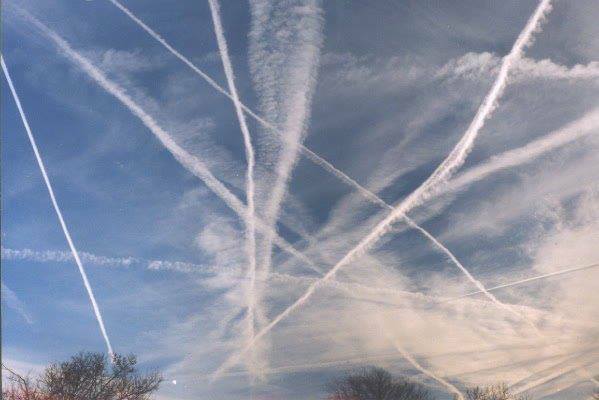 For years ‘They’ denied that such a thing as chemtrails existed, insinuating that it was just one of those stupid Conspiracy Theories. But now that it’s so blatantly obvious, ‘They’ have admitted that they’re doing it for climate control, or something like that! Many samples have been taken from the ground soon after chemtrails. They have been found to be a virulent bio-toxin soup, containing barium, aluminium, boron, arsenic, lead, mercury, thorium, polymer fibres, human white blood cells, titanium, streptomyces, uranium, yellow fungal mycoloxins, and others. 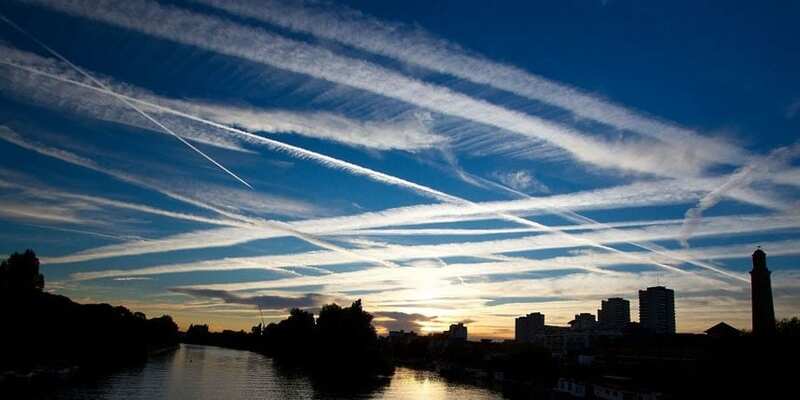 Within 24 hours of seeing chemtrails, there’s always a bout of sore throats and stomach upsets, and sometimes worse. The day after watching the coastal display, I came out in a rash! As there was no sign of it going, after several weeks I went to the doctor. She called in someone else to have a look, which was a bit worrying, then she made me an appointment with a specialist. Unfortunately he was one of those doctors (another scandal) who wrote a huge list of unnecessary creams, tablets, etc which earned him a huge commission. But he wasn’t the least bit interested in my spots or what was causing them. I asked for a 2nd opinion after a couple of wasted visits. The 2nd specialist said it was urticaria and gave me pills. The spots vanished almost immediately. I did, and that’s probably what I’ve got. Several times during the day and night, I feel an insect walking over my skin. In hotels, I wake up and the light goes on and I throw back the covers, checking for bugs in the bed. There’s never anything there, but I can feel its progress as it walks over me. A lot of Morgellans sufferers (Jonie Mitchell was one for years) scratch themselves to stop the itching, and they can pull a sort of fibre out of the wounds. I haven’t done that. I just tell myself that there’s nothing there. It will go eventually. One theory is that ‘They’ are doing it to control the population. The people who are responsible for looking after us and running the country wouldn’t do a thing like that to us, would they? Why don’t you look around and see how many childless couples there are. It’s not usually through choice. The women can’t conceive. It’s quite a high number. Also think about some of the terrible natural disasters that have occurred in the past few years, eg Haiti, Japan, the Phillippines, Pakistan. What country/countries might benefit from this? I’m saying nothing, Dear Readers. But read about H.A.A.R.P. and make your own mind up! Controlling the weather could be far more dangerous that nuclear power! 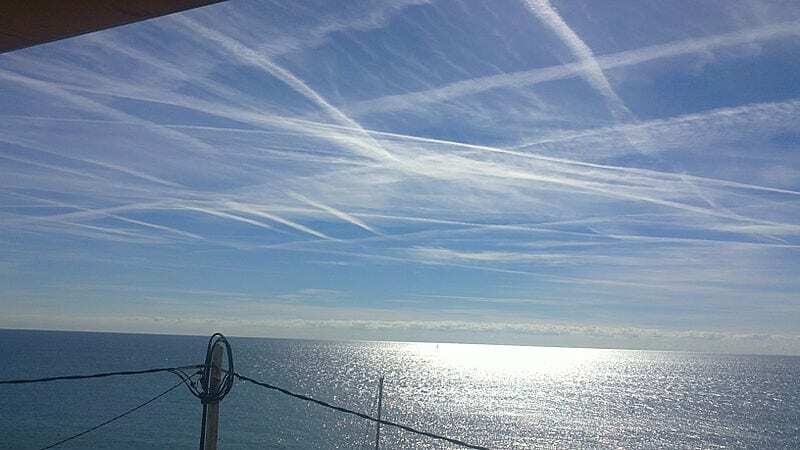 And next time there’s a calm, cloudless morning or a lovely sunset, look at the sky and see if you notice any strange white lines that hover there for a long time. You’ll know what I mean when you see it now! Over the region of Paderborn, Germany, the morning sky today looked quite similar to your pics. Yesterday and the day before, some sun came thru and the full moon too, there was only a few trails both in daytime and night time; but today, after two nights with hoarfrost for having been clear, they trailed again in an excessive way. Next two days probably will be as dark as dusk, with deep-hanging foglike clouds – same as were last Friday and Saturday, after a similar chemtrailing! GOD how I HATE that. Words fail. Worst thing is no one admits who does it and for which purpose. They are kidding us the most insolent way and we can´t do anything about it. Also in Before it’s News! « Laughter is the best medicine… we think.